Nollywood actress, Iyabo Ojo, has given reasons she will never marry a poor man. 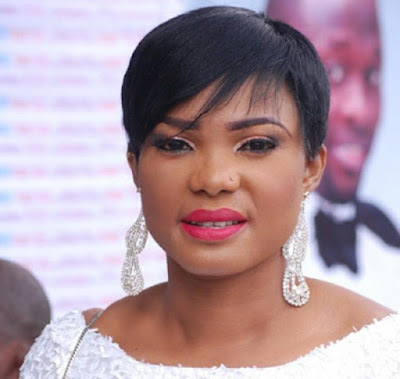 The actress whose marriage crashed, and has since refused to remarry, told Punch that she is now ready to give marriage a chance. She said, “If marriage comes along, yes I will consider it. Then, I used to say that I didn’t want to get married again because of the stress involved. “I have a lot of responsibilities . As a breadwinner and celebrity , how do you expect me to marry a poor man? Where do you expect us to start from? “I am not ready to add any man’s problems to mine. I don’t need the man to be very rich, but he must be able to feed himself and me. You don’t even have to cater for my other responsibilities. "We all have our defects. When you keep looking for an ideal man, a good one will pass you by. I just need a man who is responsible for himself first before me. Once he is hungry for success, every other thing will follow. “The kind of man I want in my life has to be more successful than me. When I bought my personal assistant a car , people said I didn’t want her to marry. I told them that I don’t expect her to marry someone who does not have a car as well.